This entry was posted on October 28, 2014 by Jessica Anderson. Honor A Special Teacher Today! Want to do something special to acknowledge your outstanding teacher? Nominate him or her for the STAR 101.5 Elementary Teacher of the Week! Last week's Teacher of the Week was 4th grade teacher Mrs. Vaver from University Place Primary School! We love teachers! Trophies2Go loves being a sponsor of the STAR 101.5 ‘Elementary Teacher of the Week’ program again this 2014-2015 school year. What is Teacher of the Week?This program allows students to recognize local, deserving teachers for their commitment to the quality education of children. What teachers are eligible? Your child’s current teacher, grades Kindergarten through 5th grade, can be nominated for the contest. What does the winning teacher get? Prizes include a $100 check, a $100 VISA gift card and a personalized plaque from Trophies2Go (that’s us!). The teacher also receives a makeover from Blanc ‘n Schwartz Salon. What do the kids get? A classroom party, with a goody bag of prizes! They will also be on the radio and TV! September winner Mrs. Nuez, who teaches 3rd and 4th grade at Green Gables Elem in Federal Way. Each Friday winners will be announced live on Star 101.5 radio and the winning class will be featured on KOMO News at 4pm. 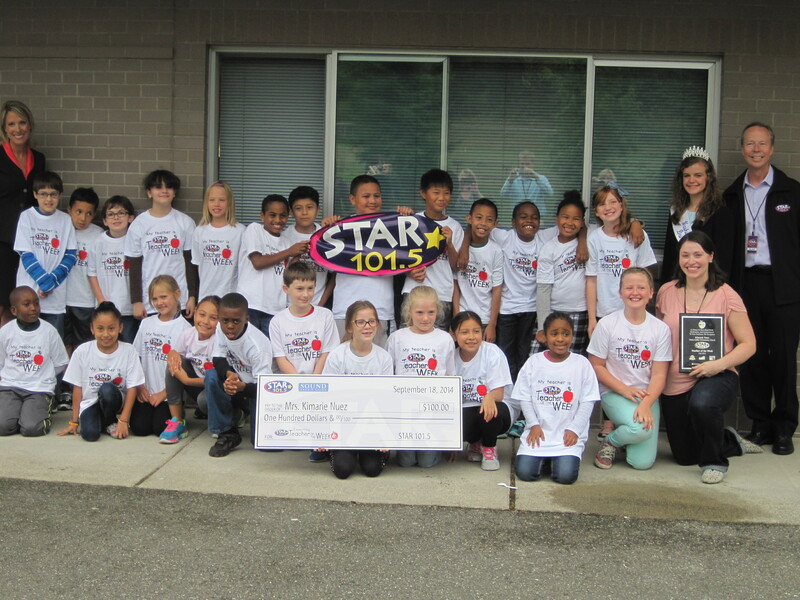 Find out more at the Star101.5 website: Elementary Teacher of the Week. 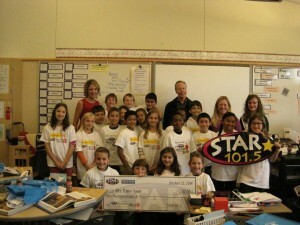 If you have a special teacher you’d like to nominate, complete an entry form online now at STAR1015.com!